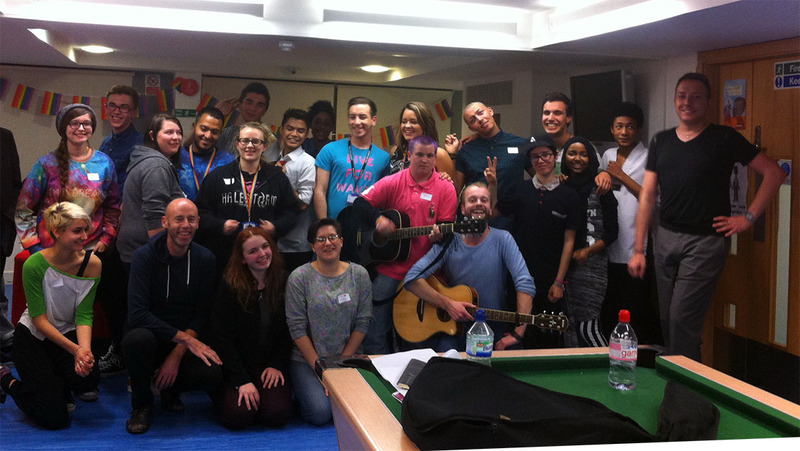 Sing Out is a songwriting project for LGBT young people in London aged 13-19 years old. 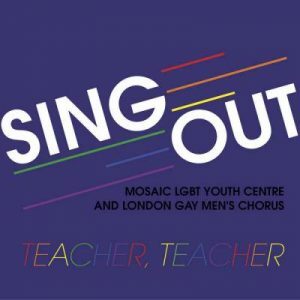 Mosaic LGBT Youth Centre and the London Gay Men’s Chorus have joined forces to support young people to write new music about the stigma and discrimination which LGBT people still face. 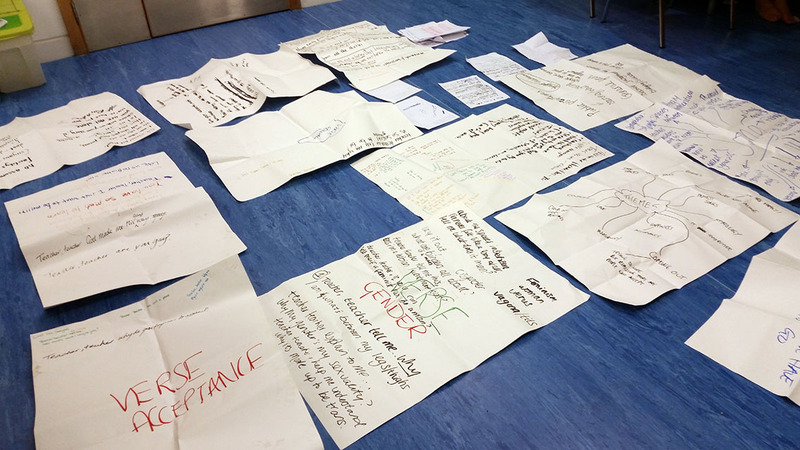 As well as increasing music skills and learning about songwriting, the project creates a much-needed safe space for LGBT young people to explore issues and express themselves. This project is led by Steven Smith, a musician and youth worker who joined the Chorus in January 2015, and Artistic Director of the LGMC, Simon Sharp. It has also provided volunteer opportunities for Chorus members. Sing Out has been made possible through Sound Connections’ Innovate Fund. The young people recorded their music and released it for download to help keep the Mosaic LGBT Youth Centre open. The young people performed alongside the LGMC on the 29th February 2016, and was a starting point for continued work with LGBT young people and some fantastic new music! To find out more about the project or the performance, please contact Steven Smith. Keep up-to-date with the Sing Out Project on our blog, where you can also subscribe to the category. Buy the single and help keep the Mosaic LGBT Youth Centre open!